March 23, 2014 was the last Sunday we met at Pastor Cliff & Susan’s home in West Los Angeles. The Asai’s home is where the Resplendent Light Community Church was birthed and we started as a church plant a little over a year ago. That all changed with our move on March 29, 2014, to our new location at the Los Angeles Center Studios Theater near downtown Los Angeles. 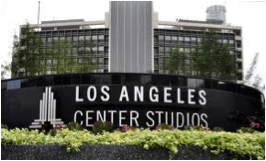 Our new address for Sunday worship is: Los Angeles Center Studios, 1201 West 5th Street, Los Angeles, 90017. Every Sunday we gather at the Beaudry Theater within the Los Angeles Center Studios to pray, gather, worship and fellowship together. The new facilities provide us with the ability to grow and experience the blessings of a spacious theater environment. We invite you to join us each and every Sunday that start at 10:15 a.m. We offer an adult bible study at 9:00 a.m. and prayer fellowship at 9:45 a.m.
We have established offices and our basecamp in the Santa Monica Business Park located at 2800 28th Street, Suite 122, Santa Monica, 90405. (Link: map & directions) The facilities are strategically placed to serve the surrounding community on a daily basis as we partner with the greater area of Santa Monica through ministries and serving. We believe we want to be located where we can best serve the community and continue to learn and love our neighbors.